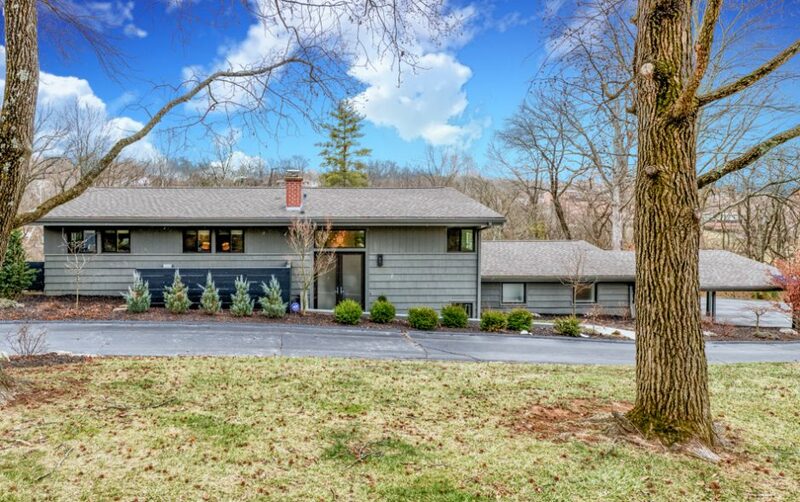 Nestled on a private, wooded one-acre lot on a popular lane in Kirkwood, this custom designed modern renovation is sure to impress. 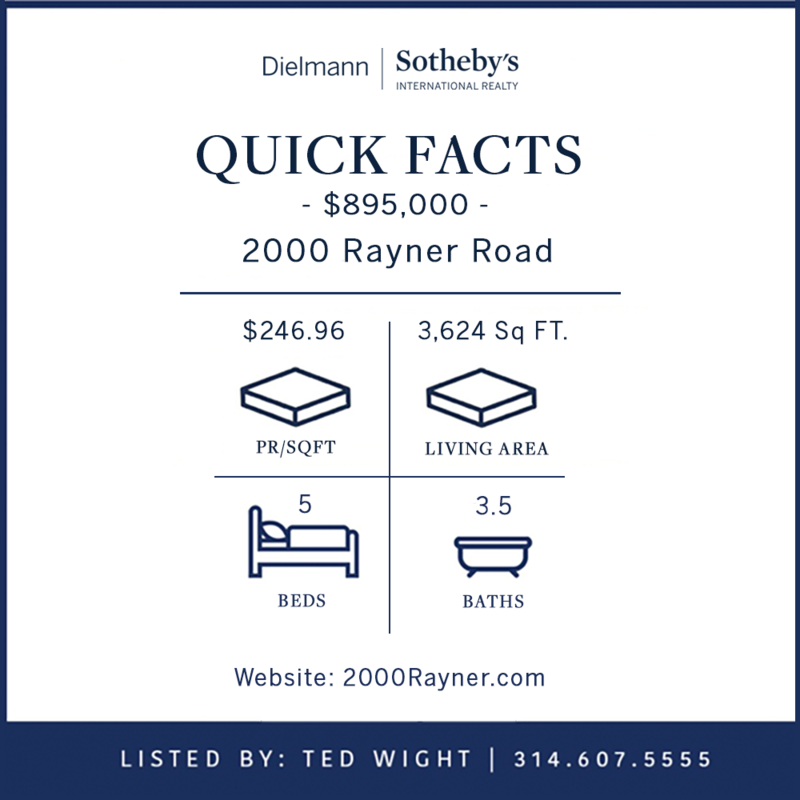 The open floor plan includes a spacious great room with a vaulted, wood plank ceiling & a see-through stone fireplace, a custom kitchen with new cabinetry, quartz tops & top-end Wolf/Sub Zero appliances. The main floor master suite with private patio walk-out provides expansive custom closet space, soaking tub & zero-edge shower. The main floor spaces open to the large custom patio, built-in grill & stone fire pit with views of the private yard & woods beyond. The 2nd level hosts 4 bedrooms, 2 new full baths, a media room & loft study. This thoughtfully appointed renovation includes custom closet & storage spaces with Elfa systems. All new Marvin windows & doors, wood flooring, roof, electric service & panel, plumbing system/fixtures, lighting & custom landscaping. This unique home with its private setting is perfect for a modern lifestyle and living. Historic Building Torn Down @ Lindbergh and Clayton Rd.